Play golf while in Portugal and enjoy some unforgettable holidays. 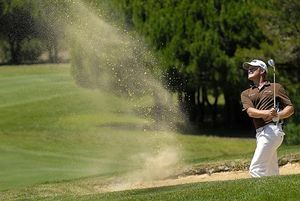 Due to the mild weather and the presence of many golf courses, this sport can be played in Portugal all year round. Most Portuguese golf courses (in total almost eighty) feature unthinkably stunning settings. All are composed of various courses of different difficulty; yet the biggest challenge is to avoid being distracted by the beauty of the surroundings. Portugal has greens with amazing views over the Atlantic Ocean, flanked by spine-chilling cliffs and vast dunes of white sand. Other greens are nestled next to fantasy-like lakes and mountains, surrounded by aromatic flowers. 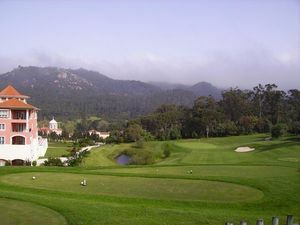 Many golf courses in Portugal have been designed by architects of international renown, such as Arnold Palmer, Rocky Roquemore, or Henry Cotton. All the courses created by those artists have in common their excellent environmental quality and the harmony with which they fit in the natural setting. The Algarve, the coast of Lisbon, and Madeira are the preferred destinations for the more advanced players. Courses on those places host many tournaments and events of the professional golf tours. 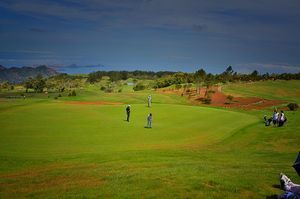 In Azores there are golf courses as well, these surrounded by a more rural setting. In the regions of Oporto and North, golf is also present. In fact, the second oldest golf course in continental Europe is in Espinho. Where I can play golf? 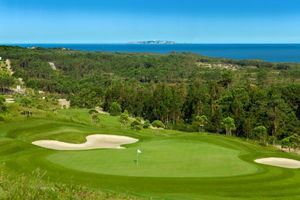 Algarve is known for its neverending luxury golf courses. Come and discover them. Enjoy a complete holiday practicing golf in Madeira. Avenida das Tulípas 6, Alges.